I bet Trump will go on having these rallies for the rest of his life. He gets off on it too much to stop. If he loses in '20, they'll be all about fraud and millions of illegals voting. If he wins, he'll make the same claims anyway. Plus, it’s not an either-or situation here. The whole thing is just gaslighting and projection anyway; Trump has a history of paying people to cheer for him, starting with his announcement and continuing at his rallies. Well, his campaign does this - and I wouldn't be shocked if others did as well (and I honestly don't care if they pay the people to stand behind them in particular, since those are very carefully crafted). For several reasons, (he'd likely be enraged by it, he has no concern for detail or day-to-day management), I doubt he knows. The idea of him seeing Grassley say it and then spewing it on Twitter strikes me as much more reasonable. He does that a lot, and his bigotry is more towards Stupid Don Draper than Richard Spencer. He loves Jewish lawyers, thinks Mexicans and Blacks should be servants, and thinks Native Americans are extinct. I don't think Trump should have won it, but in establishing the prize, Alfred Nobel said it should go to someone who has "done the most or the best work for fraternity between the nations and the abolition or reduction of standing armies and the formation and spreading of peace congresses." By that criteria, I'd say that the President of South Korea probably deserves it, for his steadfast efforts at rapprochement with the North Korean regime, in the face of their longstanding intransigence. If the short list of candidates consisted entirely of people who have contributed to the ongoing effort to keep peace on the Korean peninsula, the prize could be awarded fairly and meaningfully every year. He’s not the first politician to constantly accuse others of things he has been doing. Trump with his pathology has no way of understanding that other people wouldn't do the same as him. I was watching a show about Hitler on one of the HitlerIMeanHistory Channels, and it was talking about his behavior toward the end of the war, where he went secluded at his villa, and instead of actually doing anything, he spent his time boasting about his unlikely rise to power, and how impressive that was. Yet more proof (as if more proof was needed) that Donald Trump is Literally Double Hitler. It is complicated. How about the Obama voters who voted for Trump in 2016? How do you explain someone voting for Barack Obama and then voting for Donald Trump? In numbers high enough, that if they had voted for Clinton, she would have won easily? I think there are a lot of answers, it's not one reason. I know a woman who voted for Obama as the "Change" candidate. She then voted for Trump because she said Obama didn't bring any real change but Trump would. I'm not sure what specific changes she was expecting. The worst thing is, it has a high probability of occuring. Would they have a compelling reason to accept any such invitation? If the lawsuit succeeds, Trump might be banned from working with any nonprofit organization for 10 years from when he leaves office. Regardless of how things go, he is in trouble when he leaves office. Congress better pass that Enabling Act right after the mid-terms, then. Has Trump spoken to Hindenburg yet? We might still have time to turn this thing around. Let's hope nobody burns down the Capitol! People who voted for Obama and then Trump (and many of them still feel positively towards Obama) did it because they wanted "change." These voters have been fairly consistent in the change they wanted. An end to the rich-get-richer-and-the-poor-get poorer reality of the past thirty years. People know their wages have stagnated; that raises do not keep up with inflation. They know their buying power and their standard-of-living have not increased. Here's some comments from the mayor of a (very) small town in North Carolina, a Democrat, who voted for Trump. A woman in Ohio who voted for Obama in 2008 and 2012 and Trump in 2016. So it turns out there is gawd afterall.... and she likes to hit the smite button every now and then. I can't imagine how weird it must feel, for someone to have that video as their consolation prize for the Trump presidency. I dedicate this song to Donald Trump and you. Boozoo Chavis, recorded 1954. Lyrics. And I can't imagine what it must be like needing to formulate an assumption about someone else's thought processes in order to justify and rationalize one's own inability to see beyond their cult worship because they've been programmed to believe any humour aimed at their messiah is considered heresy and should be spoken out against at every single turn. Despite our many irreconcilable differences, I think we can at least agree that this post is hilariously ironic. Yeah, I thought it was cleverly sardonic too. Glad to see we can both enjoy the hypocrisy of the political circus going on south of the 49th parallel. 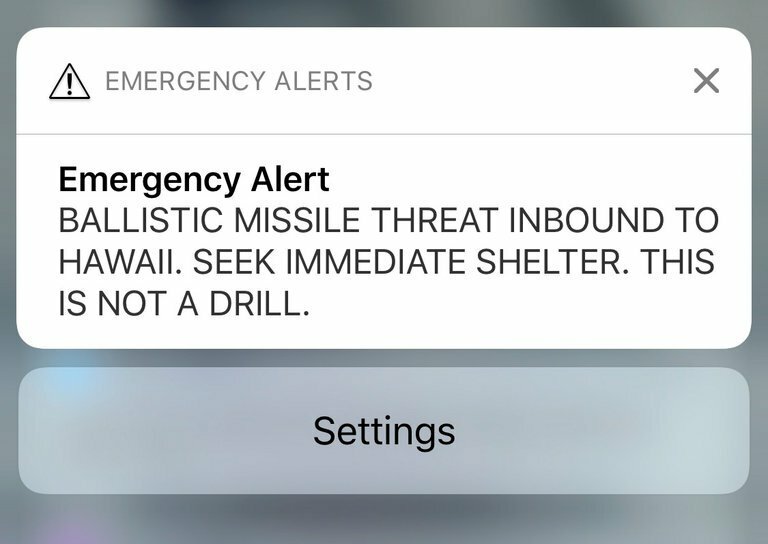 Remember that false missile warning in Hawai'i about...oh...9 months ago? Where the warning went out that an ICBM was on the way? And it happened just about 9 months ago? I wonder if there's going to be spike in births in the next two weeks. Last edited by C_Felix; 5th October 2018 at 03:01 PM. Didn't you already make that point yesterday? Are they running scared, or is election fraud just a force of habit at this point? The latter can not be excluded. 35 YEARS of being sanctioned. Last edited by SezMe; 5th October 2018 at 06:20 PM. Evidence of voters that have almost no information and a lot of magical thinking of what they are getting for their vote. My god that is awesome. Did President Trump Board Air Force One with Paper Stuck to His Shoe? They were being polite not calling it TP in the title but they called it TP in the article. People who voted for Obama and then Trump (and many of them still feel positively towards Obama) did it because they wanted "change." These voters have been fairly consistent in the change they wanted. An end to the rich-get-richer-and-the-poor-get poorer reality of the past thirty years. How on Earth is that a reason to vote for Trump? Your loyalty to Mother Russia. When you're desperate, you'll even try blood replacement therapy and leeches. Whether you love or hate him, Trump’s ascendancy to the presidency was a once-in-a-century miracle. He was literally the Man Without a Party, yet beat 16 primary competitors and an opponent whose victory was her “manifest destiny.” It was a political feat unequaled in history." Twitter Suspends James Woods. Woods Stands His Ground. "I’m gone a week and @LindseyGrahamSC actually IS Spartacus." Last edited by Slings and Arrows; 5th October 2018 at 11:41 PM. Presumably the whole 'drain the swamp'-thing resonated heavily with that type of voter. Sure, but how can one make oneself trust it when it's coming from the creature from the Orange Lagoon? I'd imagine that is the question a lot of such voters are asking themselves as buyers remorse sets in. Yesterday, after an 18 month investigation, the NYT revealed the President of the United States committed hundreds of millions of dollars of tax fraud - possibly one of the biggest scandals in the history of the Presidency - and 24 hours later we're no longer talking about it. It undoubtedly did resonate. Trump also campaigned on growing American jobs, raising wages, bringing back blue collar jobs from overseas, etc. These are some of the things he was Tweeting during the run-up to the campaign. The swing voters also did not know a whole lot about Donald Trump. I'm from New York, I've been exposed to him for thirty-five years. Trump has never been someone who holds up well in the long run. A New York City mayor once said, of all the people he'd had to deal with while in office, Trump was probably the greediest. He long ago gained a reputation in New York for being a self-aggrandizing phony. But many people around the rest of the country seemed unaware of some of the criticism The Don got over the years. They never heard of the United States Football League, the Trump Shuttle. They knew very little about Atlantic City and the questionable strategy he followed there. They were of the opinion -- I heard this a number of times -- that they admired the fact that he was a businessman who suffered some business failures, yet regrouped and became even more successful. I think the television show The Apprentice helped him immeasurably, in introducing Trump to the rest of the U.S. and doing it on his terms. No big deal just the president's lawyer lifting up a call to freeze "anti-Christ" George Soros' assets. These video have real value. We know Trump is terrified of being laughed at. He hates it above all else. I hope this one gets more play. A real president would laugh it off, for Trump this sort of thing causes real suffering for him. Thanks to Guiliani for showcasing who's on the wrong side of history. Good to see that the Republicans' avowed support of due process lasted a long time. Just long enough to remove some autonomy that women have and minority voting rights.